Reported Speech introduced with said and told, grammar guide + examples + lots of exercises to practice. Fully editable, keys included. Next part coming soon. Thanks for downloading it. It´s a great work! Thanks soooooo much! 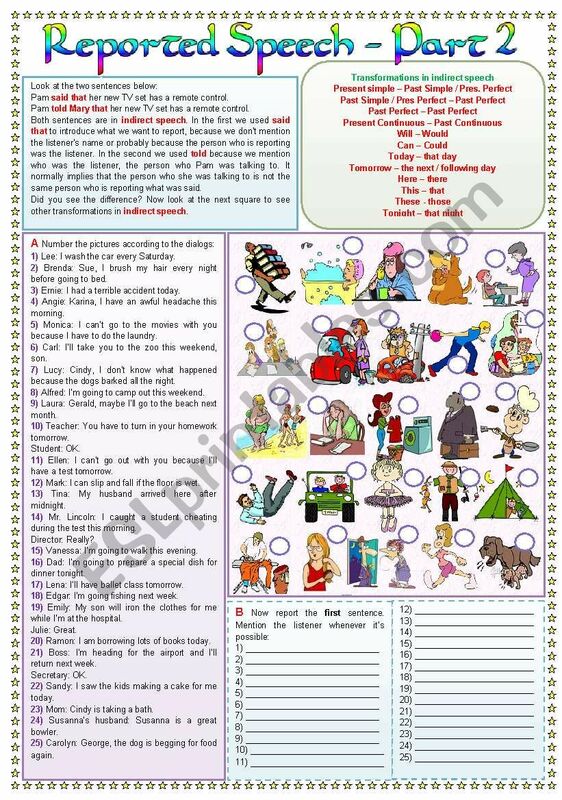 This is a great worksheet! Purrrfect and thank you very much for sharing. Great as usual!! This is just what I needed!! Thanks a lot ,Zailda!!! Thank you for sharing this useful worksheet.